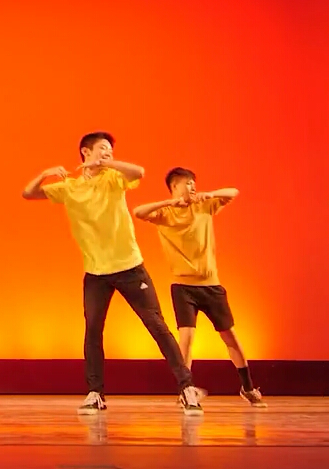 Members of the dance teams, All-Male and Choreo, attended a Pilipino American Coalition Camp (PACC) during the summer with the desire to improve their experiences in dance. This has been the first time where people from All-Male and Choreo would go to PACC to be taught how to increase their range of styles and performance. They didn’t really know anyone but themselves who were going, but that soon changed as the team started to get familiar with the environment and people. Going to events like these gave the dancers the opportunity to have fun, meet new people, and learn new skills. All of them met people who they didn’t know and created friendships. Even though everyone who went said they enjoyed the experience, there were complications. None of the dancers were able to drive and the location of the camp was in Long Beach, which is approximately a 30-minute drive from San Gabriel. “The fact that it’s at Long Beach makes it difficult,” senior Cindy Feng said. Overall their experience has changed the dance members as they improved their different styles and skills in dancing. They will be heading back to PACC again this summer, and will encourage other members on the team to go as they sort out problems, like the driving issue. They hope to keep on improving and pushing forward with the help of PACC during summer.